We buy whole computers and pay you for the precious metals (such as gold, platinum, silver, and palladium) found inside them. 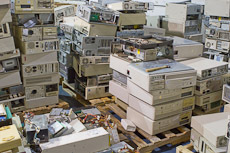 Old scrap computers have about the same precious metal density as raw ore in the ground due to the circuit-boards, wires and connectors within them. A typical recycled PC yeilds about 2-3 pounds of precious metal containing components and about 30 pounds of nearly valueless material. In small quantities, the shipping costs tend to exceed the recovered value. However, recycling the minimum quantity of 1000 pounds or more of scrap computers can be profitable. Recycled PCs generally come from governmental, educational, institutional or business site upgrades where thousands of computers are replaced with newer models. Scrap from these sources tends to be homogeneous and easier to disassemble. Old building or warehouse clean-outs can often yeild a large volume of junk computers. Accumulating PCs overtime is another good strategy to aquire the 1000 pound minimum (about 35 PCs). 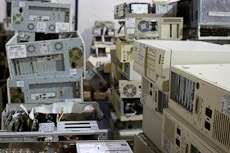 As computer manufacturing processes have improved, the volume of precious metals in PC scrap have been reduced; older computers are generally worth more. Comptuers used in military, enterprise or telecommunications applications tend to net more as well. We buy whole computers including their peripherals (mice, keyboards, etc) and monitors, as long as the shipment size is greater than 1000 pounds. See What We Buy for details. To get started, please contact us, or send us details about your comptuers for a price estimate and shipping arrangments. We can pick up the computers directly from your location. 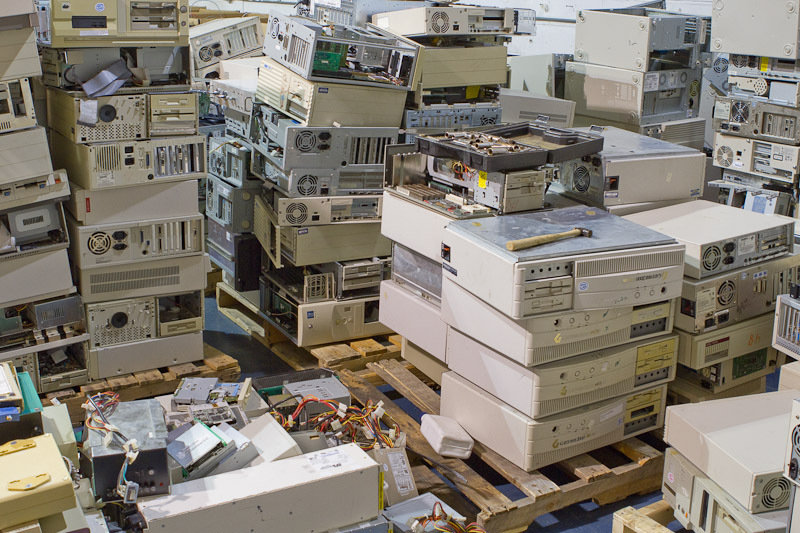 There are minimum quantities for shipping whole computers to ensure your profitability (1000lbs), but we can evaluate your scrap to find the right strategy.